Thursday the 18th October sees the opening of the UK’s very first OBEY Clothing pop-up store in East London Old Truman Brewery. 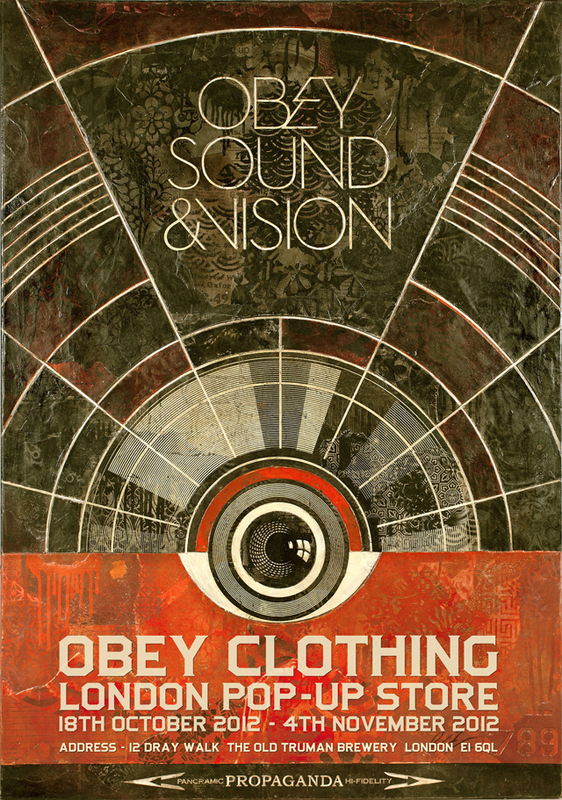 Coinciding with the highly anticipated Shepard Fairey show ‘Sound and Vision’ showcasing at the Stolenspace gallery also in the Old Truman Brewery, the Obey store will be up and running for just over two weeks. The opening night is on Thursday the 18th October kicking off at 5pm and the store will run at the space until the 4th November.